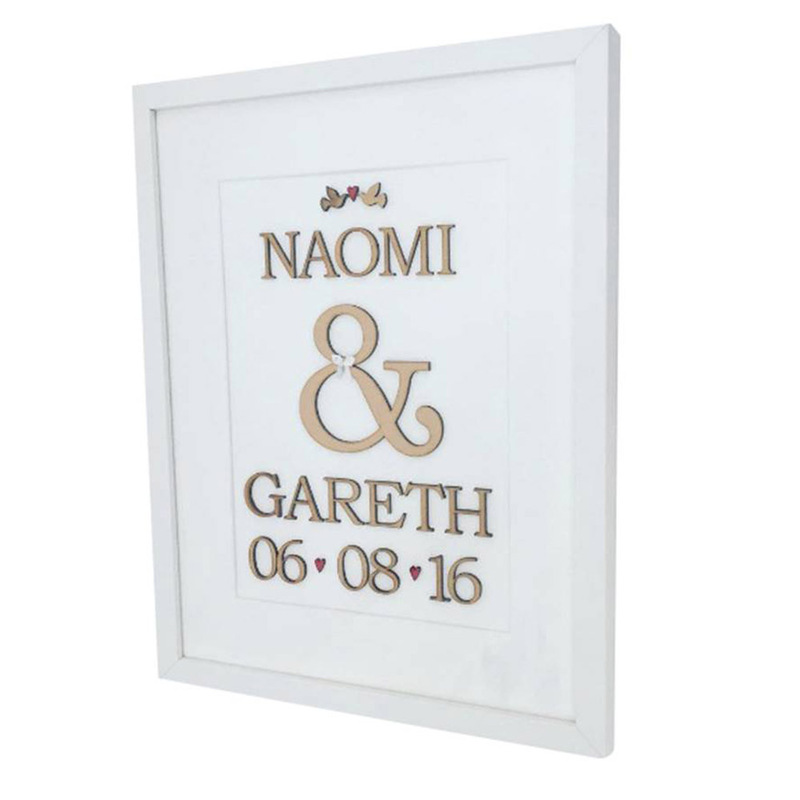 This personalised word art gift is full of passion and will last a lifetime. Brighten up your home with this bespoke, truly individual and amazing handmade wall art, which captures your memories that will last a lifetime. This unique piece of art is designed by you and created by us. This word art gift will make an ideal present for birthdays, weddings, anniversaries or pretty much any other occasion you can think of. This bespoke gift has been created with care and precision in every step of the crafting process. 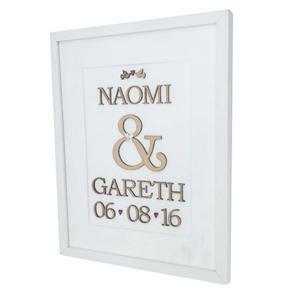 Your chosen names & numbers are laser cut from MDF wood and are then completed with a fabulous white frame. Surprise that special someone with a customised gift, or make your own house feel like home, this Word Art gift gives any room a personal touch. Delivery will be Royal Mail, first class signed for (£7.50). Your item will be delivered within 2-5 working days. We will notify you once your word art has been dispatched.